Friday was the first day in office of UN Secretary-General António Guterres. 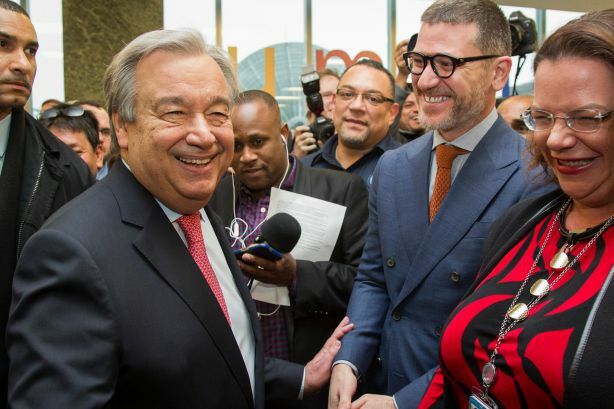 He received a warm welcome from staff at United Nations Headquarters in New York. António Guterres took on what has been described as the impossible job on earth to speak up for the interests of people everywhere, working in particular for the world’s poorest and most vulnerable. During his first year as Secretary-General, he worked tirelessly for a more just and peaceful world. António Guterres is a Portuguese politician and diplomat who is serving as the ninth Secretary-General of the United Nations. He had done notable work for Refugees as ‘United Nations High Commissioner for Refugees ‘. He worked in last office for more than a decade. Previous articleStrategic Partnership Between American bike company Detroit Bikes and Israeli SoftWheel Ltd.